The Defense Ministry is not considering a revision to its plan to procure a total of 105 F-35A stealth fighters despite the crash Wednesday of one of the jets into the sea off Aomori Prefecture, Defense Minister Takeshi Iwaya said Friday. Given the depth of the water in the area, it is “probably possible” to recover the jet, which is believed to have sunk to the bottom of the sea, if it is ever found, Iwaya added. The F-35A, one of the first 13 jets of this model deployed in Japan, is believed to have crashed into the sea Tuesday night. The pilot, Maj. Akinori Hosomi, who has 3,200 hours of flight experience, including 60 hours in the F-35A, was still missing as of Friday afternoon. 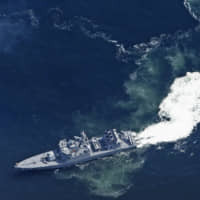 The depth of the sea area in question, about 135 kilometers east of the Misawa Air Base in Aomori Prefecture, is about 1,500 meters, according to the public relations office of the Air Self-Defense Force in Tokyo. The crash of the jet has drawn particular attention from media outlets and military analysts across the globe because it was a first for the F-35A. 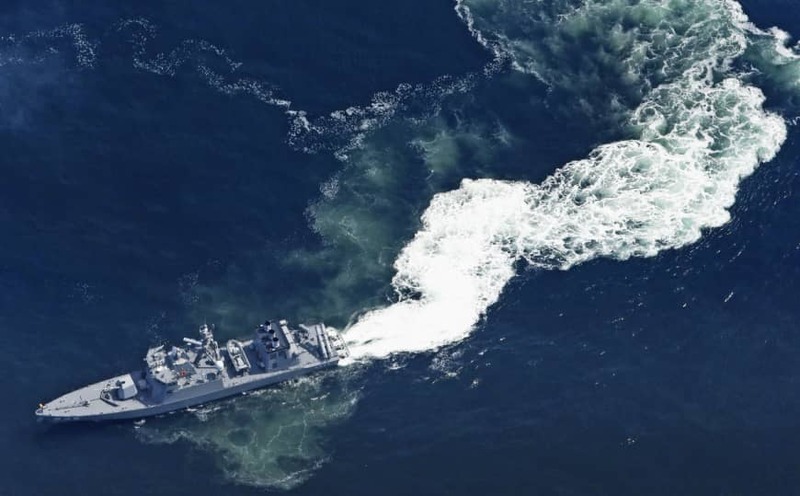 The Maritime Self-Defense Force has dispatched the Chiyoda, a submarine rescue ship, to search for the wreckage of the stealth fighter, which is made by Lockheed Martin and is full of top-secret military technologies. The Chiyoda is equipped with powerful sonar systems to determine the topography of the ocean floor, as well as two deep-sea probe vessels equipped with a remotely controlled camera. Experts believe China and Russia would be keen to obtain the wreckage of the state-of-the-art stealth jet. “Not only America but also China and Russia must be interested (in the crash) very much,” said former Defense Minister Gen Nakatani during “Prime News” on BS Fuji on Thursday evening. “It’s a race against time. … If ever some technologies are leaked to other countries, its impact would be immeasurable,” Nakatani said. The stealth fighter was jointly developed by nine countries including the U.S., the U.K., Italy, Netherlands, Turkey and Canada. During the news conference, Iwaya said the Self-Defense Forces are staying “on alert 24 hours a day” to monitor the situation in the area of the crash. But the SDF has yet to detect the military presence of any countries other than Japan and the U.S., Iwaya said. In October 2017, a salvage ship hired by the Maritime Self-Defense Force retrieved an SH-60J anti-submarine helicopter from the sea floor off Aomori Prefecture at a depth of about 2,600 meters. The helicopter crashed into the sea, leaving three crew members dead.